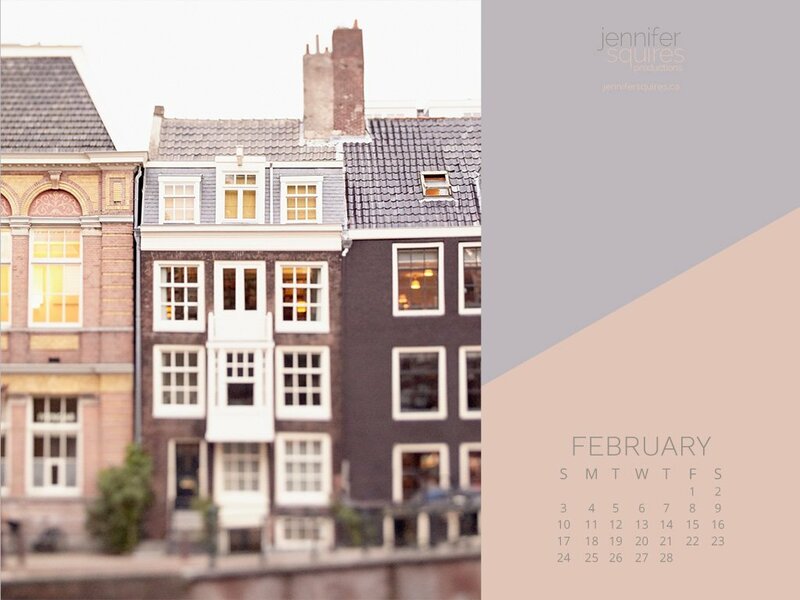 I got so wrapped up in releasing my new Amsterdam photographs that I completely forgot to share your February 2019 Wallpaper! 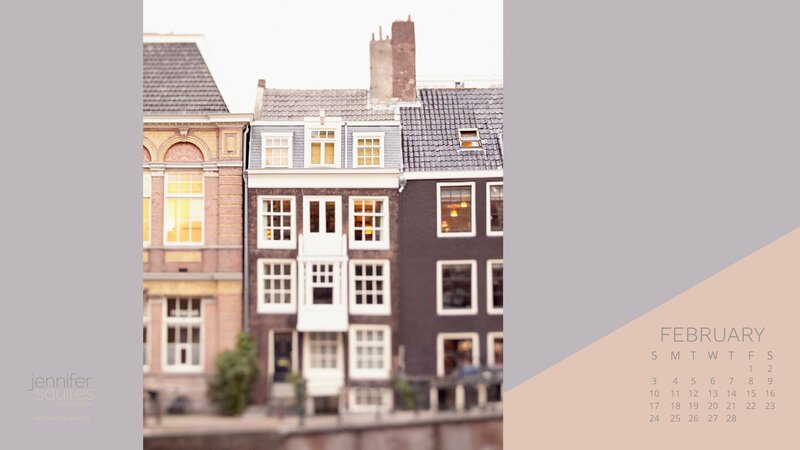 I’m sooo smitten with these crooked canal houses. And clearly you are too! Thanks for such a great response to this new collection! What is it about these charming, adorable buildings that I just can’t get enough of? Maybe it’s because here in Canada out buildings are either totally modern or boring grey boxes, either way it’s street after street of the same design. Not in Amsterdam! I can’t resist sharing another image from my new collection for your February wallpaper, I know you’re in because January’s wallpaper was my most popular to date! May I present – Lindsay’s Library. Ready to go for your desktop, iPad, and iPhone. 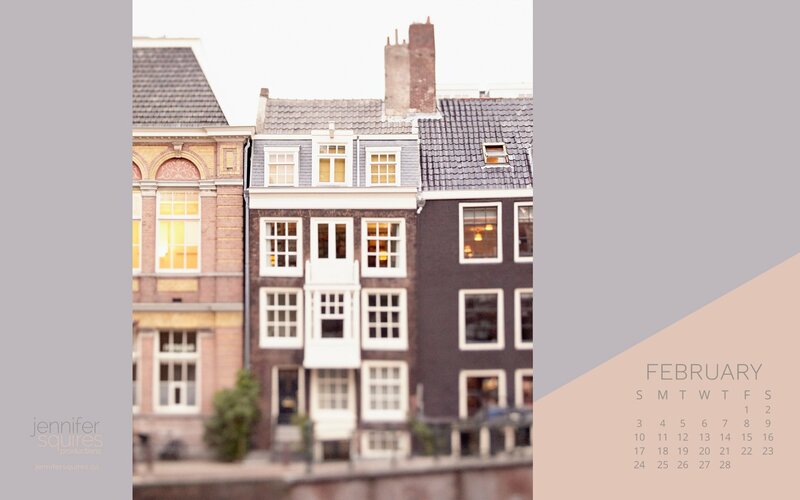 I’ve also put together an iPhone wallpaper so you can take a little bit of dreamy-old-world-Amsterdam with you wherever you go. Glad you like it Fran! I always pull a calendar wallpaper off the internet and use it for my wallpaper for that month–just discovered this site through a google image search. The contribution for this month is beautiful and I can see that I’ll probably be using this site many more times in the future. Thanks again. Thanks for your kind words John! I’d love to hear what type of photos you typically use for your wallpaper!